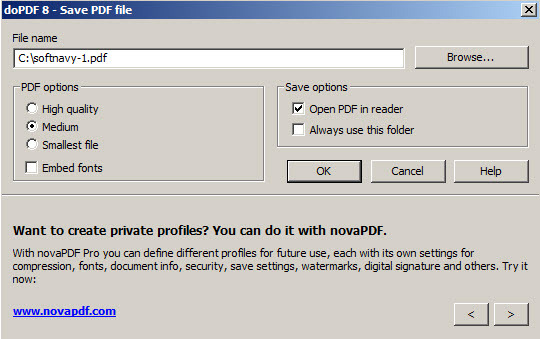 doPDF a a small application which enables you to convert files to PDF format. It is a virtual PDF printer and this means that you will send the document to print (Ctrl+P), but when you select the printer, choose doPDF. Instead printing on a paper, the program will save the document as PDF. This tool doesn't provide advanced features, the only things you can do are to choose a quality level (higher quality will increase file size), choose a default folder where to save PDFs and nothing more. The program is very easy to use, but doesn't offer advanced features such as password protection or watermarks. 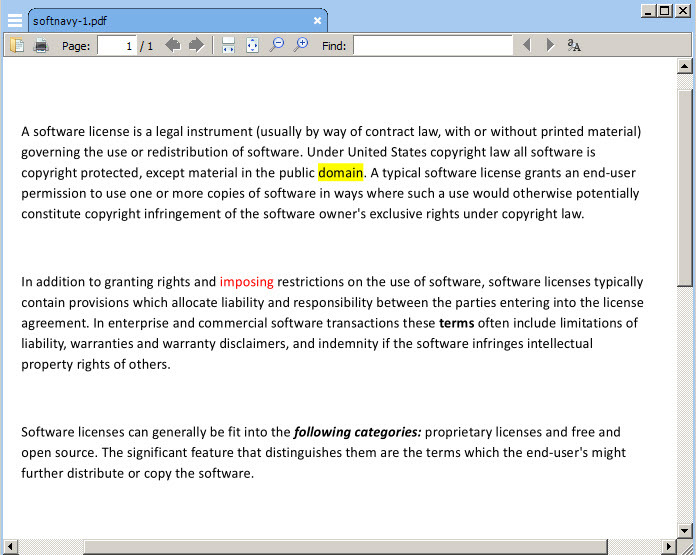 doPDF is available as free download for Windows 32-bit and 64-bit. doPDF is 100% clean and safe to install. You can see the test results here.